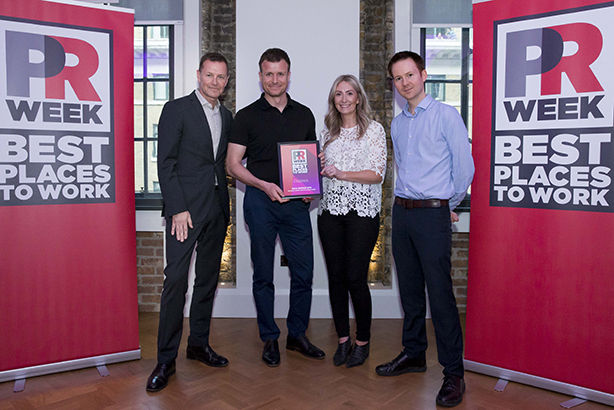 The deadline for registering for PRWeek UK's Best Places to Work Awards 2019 has been extended until Friday (8 March), which is also the deadline for completing the application form. There is a special focus on mental health support for the 2019 Best Places to Work Awards. This year, entrants can buy a bespoke benchmarking report offering expert insights into their business via feedback from two supporting organisations: CALM, the mental health charity; and REBA, the Reward & Employee Benefits Association, the membership body for reward and employee benefits practitioners. This will run alongside a unique, confidential report matching your data against aggregated scores using responses to the entry form – providing valuable insights into where entrants excel and where they may fall short. Entrants can also opt for a ‘premium’ package, which offers entry to the Awards, the benchmarking analysis/expert feedback report, plus up to five job ads on PRWeek Jobs and a partner content profile under PRWeek’s Wonderful Workplaces series, along with other benefits. The recruitment benefits alone are worth more than £6,000. There are four Awards categories: Large Agency (100+ UK employees); Mid-Size Agency (30-99 UK employees); Small Agency (2-29 UK employees); and In-house Communications Department. Entrants will also be considered for additional categories that recognise outstanding practices around Reward, Culture, Organisational Health and – new for 2019 – Mental Health. The latter category will be part-judged by CALM. Mental health will also form the basis of several questions in the main entry form. It comes as the issue of mental wellbeing in the PR industry gains prominence. A new survey by the PRCA and PRWeek found that 60 per cent of comms professionals have suffered from or been diagnosed with mental ill health, and recent months have seen a greater focus by employers on the issue. Instead of having Gold, Silver and Bronze awards like in previous years, in 2019 the winners and highly commended entries will be chosen from the five shortlisted entrants in each category. It means there are more opportunities than ever to be recognised. This year, PRWeek has assembled four expert judging panels, one for each category. Previously there was one panel for all the categories. The judging panels will decide the five finalists in each category. Finalists will then take part in face-to-face panel sessions in central London to decide the winners. Winners will be announced at a drinks reception in central London on Thursday 25 April. If you have any questions, please email bptw@prweek.com.